^ "Washington". Geographic Names Information System. United States Geological Survey. ^ Foscue, Virginia O. (1989). Place Names in Alabama. Tuscaloosa: University of Alabama Press. p. 145. ISBN 0-8173-0410-X. Retrieved 2016-11-19. ^ Causey, Donna R. "Indian town Atagi disappears in Autauga County". Alabama Pioneers. Retrieved 2014-08-11. 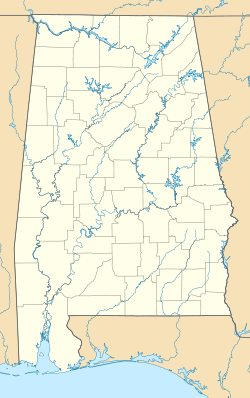 ^ "Autauga County". Autaugaheritage.org. Retrieved 2014-08-10. ^ "Autauga County". Jim Forte Postal History. Retrieved 20 November 2014.